It's finally Saturday again, I hope you all have had a good week. For my post today my theme was patterned papers. I can't be the only one having a big stash of paper that I never remembers to use? 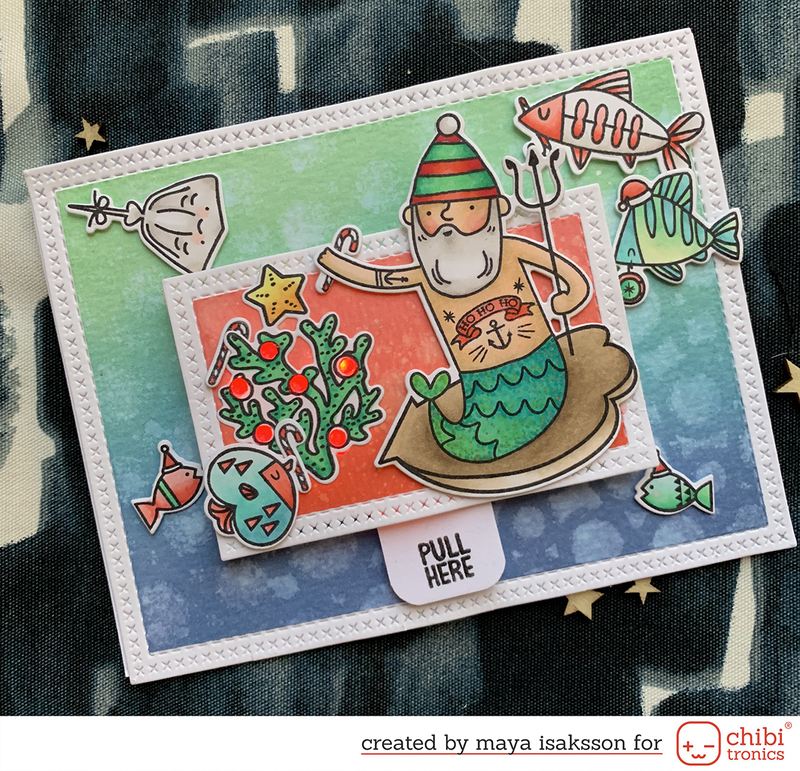 On the Winnie & Walter blog you can find 3 more cards that I made for todays post using patterned papers together with Winnie & Walter stamps and cutaways. I made this card using no stamps at all. And no coloring or inks whatsoever. If you wanted you could mass produce this card in a lot of different patterns to give to someone and it would be super quick, and still it doesn't look plain because of the dimension. I used a cutaway background plate to emboss the pattern in the background, it always looks good. I have used this technique with all kinds of dies, it works perfectly with rectangles for frames but this die is my favourite. Now hop on over to Winnie & Walter and see my other projects. So that's it for today. I will be back next week for my last performance as Leading Lady. I hope you will be back then. 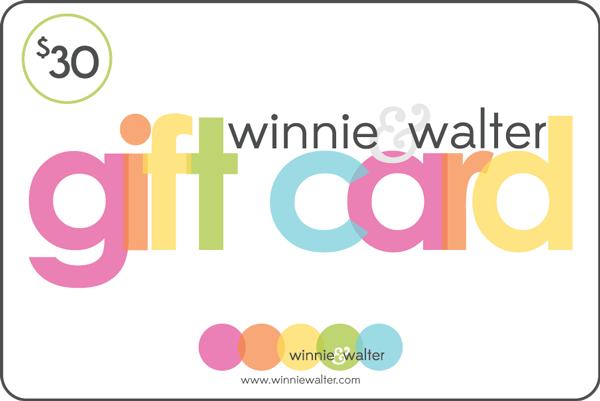 In the meantime you can take a look at my other Leading Lady posts here in the blog, I will be giving away a gift card to the Winnie & Walter shop to one of the people commenting on any of them during the month. The last post is next Saturday and I will pick a winner the week after on Nov 5. Thank you for all the lovely comments so far, I'm very happy for each and every one. What stunning cards!! I think my favorite is the card where you used the flowers and cut away behind showing the black and white background. Looks SO COOL!! 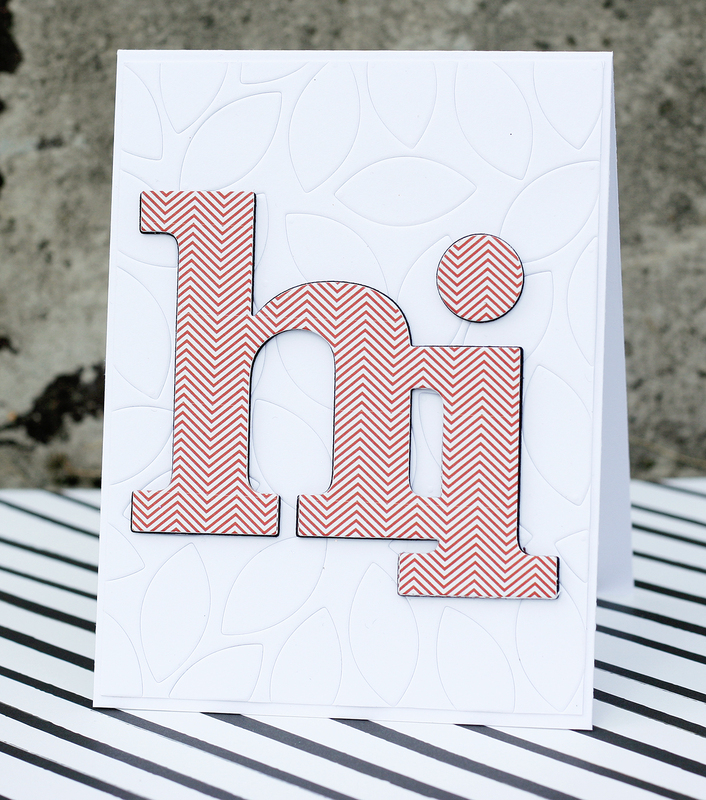 Love the embossed background and the red and white 'hi'! Fun card! I too collect (hoard) pattern paper that seems to multiply in the dark. Thanks for the ideas. 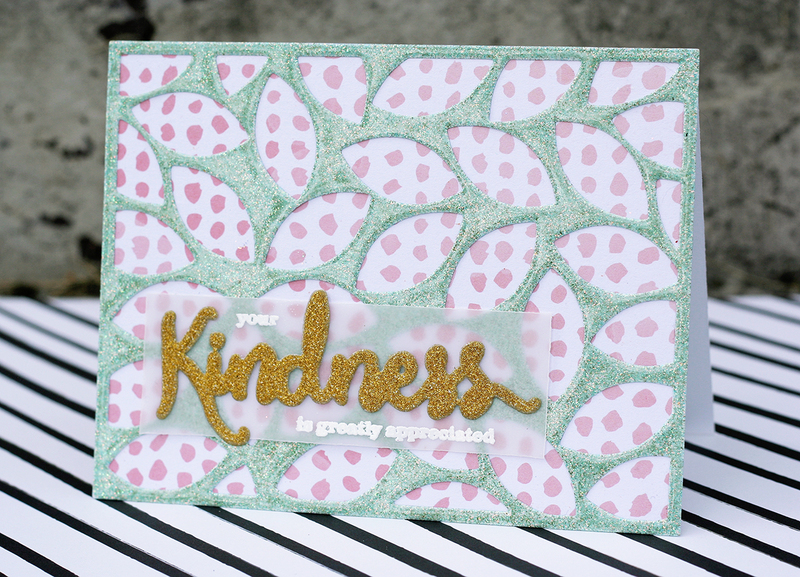 The leaf effect die looks like a very versatile product, I am adding it to my wish list. Lovely card! I also forget to use my patterned paper stash. Wonderful cards. I have been trying to use my patterned paper too even though I never seem to make a dent in it. I love patterned paper! I hoard my favorites too. These are great PP ideas! I love your card with the die cut out flowers backed with pattern paper. The colored flower finishes it off perfectly! Great card!! I have a Cricut Explore and recently found Winnie and Walter's shop that sells digital cut files. I have used some of them already. Thank you for sharing many ways how to use their great cut files!! Another question- Did you cut the patterned paper using your electronic die cutting machine?? Thank you, in advance, for answering all of my questions!! All your cards are fantastic and I especially like the effect of the black and white paper contrasting with the yellow/orange flowers on the second one. I love that giant HI card! 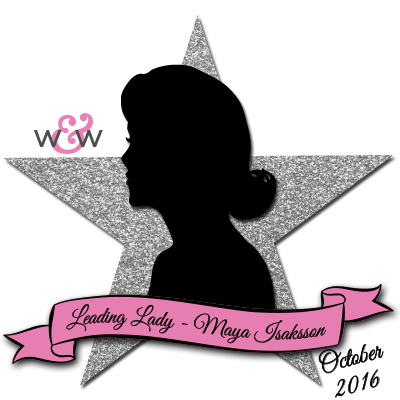 another week of great cards from you! can't wait to see more next week! So many great cards over there today! I love how graphic they are! I LOVE this great big HI! The color is so cute! What a great simple card! I absolutely love this card! 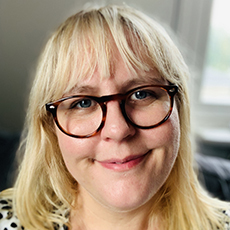 I've not tried this type of background but I'm certainly going to soon!